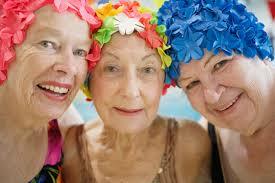 Old Age Benefits of Exercise For in old age. old age and exercise Scientific studies show that staying physically active and exercising regularly can help prevent or delay many diseases and disabilities. Scientists find that even moderate exercise and physical activity can improve the health of people who are frail or who have diseases that accompany ageing. Exercise and physical activity are among the healthiest things you can do for yourself, but some older adults are reluctant to exercise. 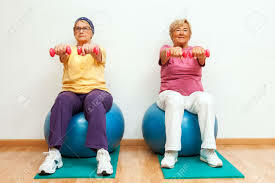 Some are afraid that exercise will be too strenuous or that physical activity will harm them. Yet, studies show that exercise is safe for people of all age groups and that older adults hurt their health far more by not exercising than by exercising. An inactive lifestyle can cause older people to lose ground in four areas that are important for staying healthy and independent: strength, balance, flexibility, and endurance. But research suggests that exercise and physical activity can help older people maintain or partly restore these four areas. Growing older doesn’t mean people have to lose their strength or their ability to do everyday tasks. Exercise can help older adults feel better and enjoy life more, even those who think they’re too old or too out of shape. Increasing strength and endurance make it easier to climb stairs and carry groceries. Improving balance helps prevent falls. Being more flexible may speed recovery from injuries. If you make exercise a regular part of your daily routine, it will have a positive impact on your quality of life as you get older.it is never to late to start with me you do body and mind work with me i love what i do and if getting old just like me then i love to help you . you will have all this and more.